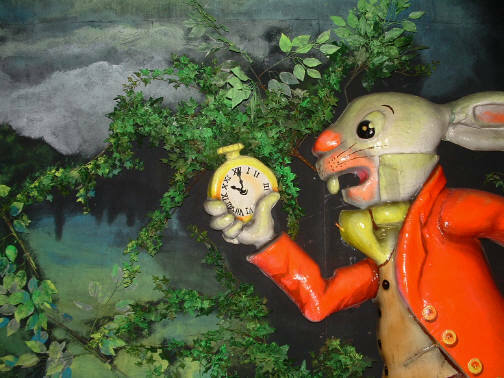 Many worry about the future of Pleasure Beach. 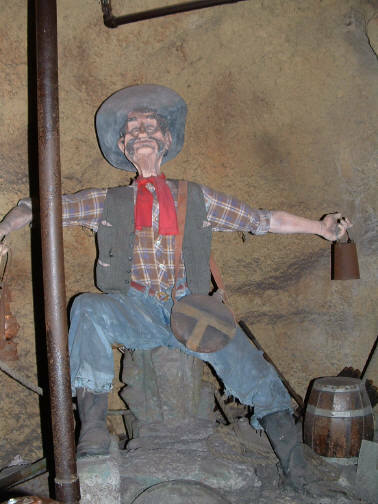 The park was known for its classic rides, but many have been revamped or removed in recent years. 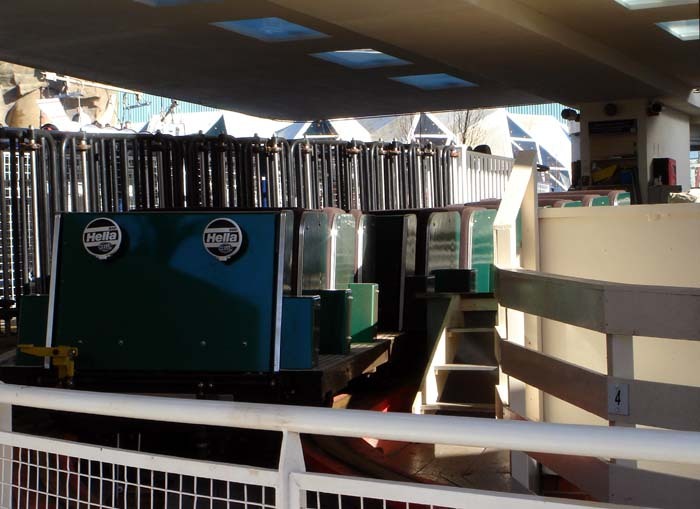 The upgrades include the park's newest coaster Icon, a double launched creation from Mack. 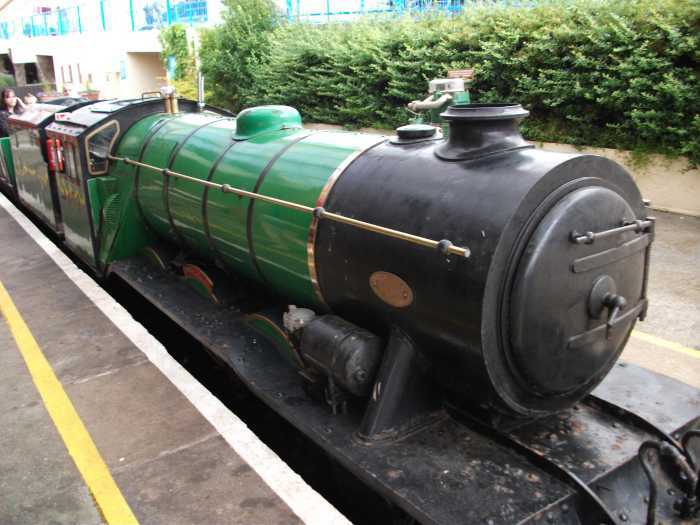 But there is still plenty of heritage at the park. 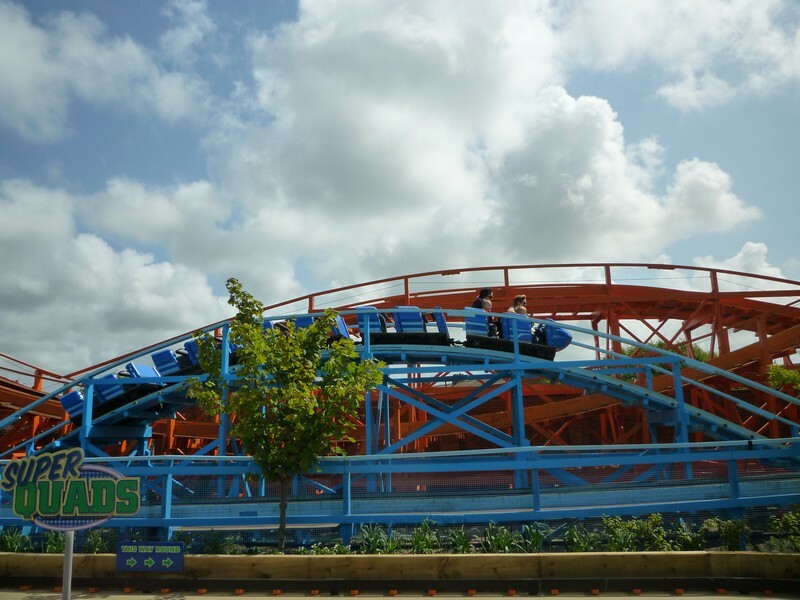 Steeplechase is the only remaining ride of its type, and, Grand National, is one of three remaining mobius coasters. 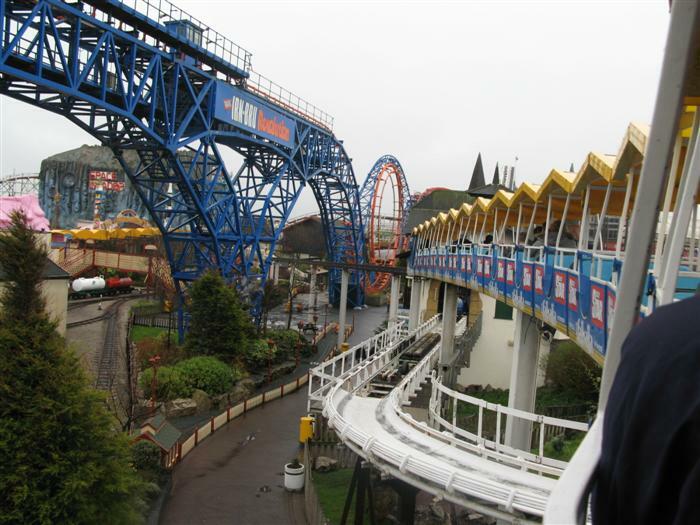 Beyond that there are seven more coasters, including three more woodies, a bobsled coaster, and Pepsi Big Max, an Arrow hyper--the UK's tallest coaster. 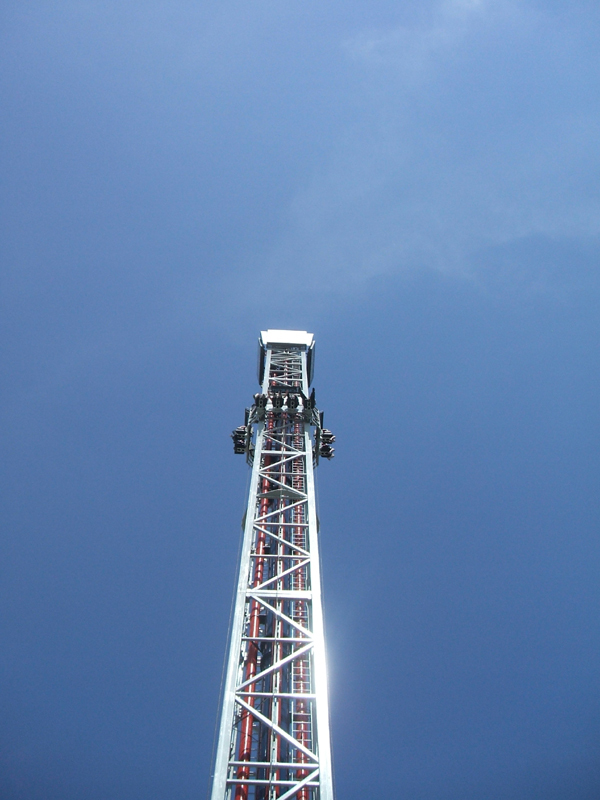 Since the park is no room to expand, many rides are built in close proximity, if not encroaching on the same air space. 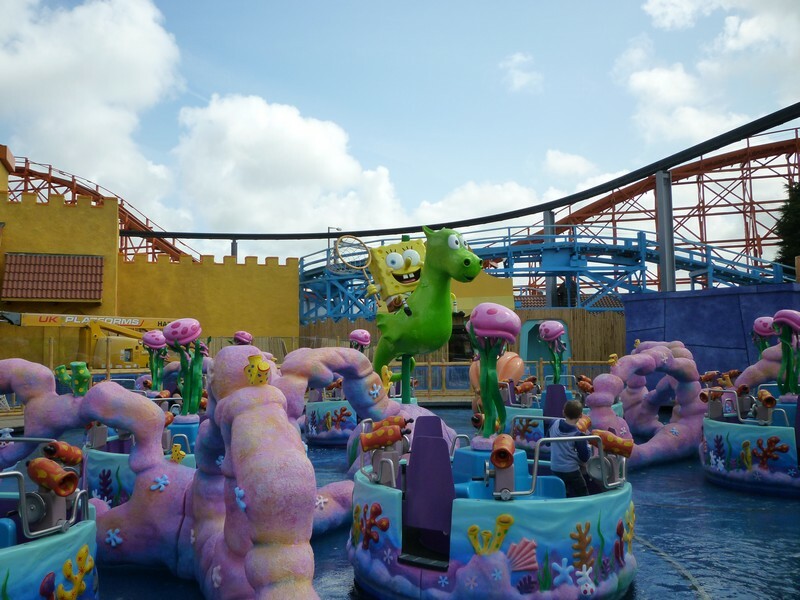 Prepare yourself for a drenching in Valhalla, considered by many to be the world's best water ride. 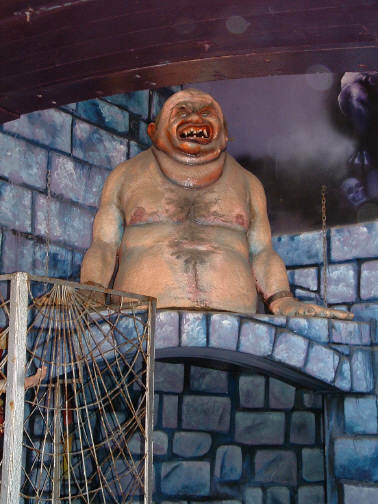 Not to be missed are Blackpool's classic dark rides. Burger King is available at the park. 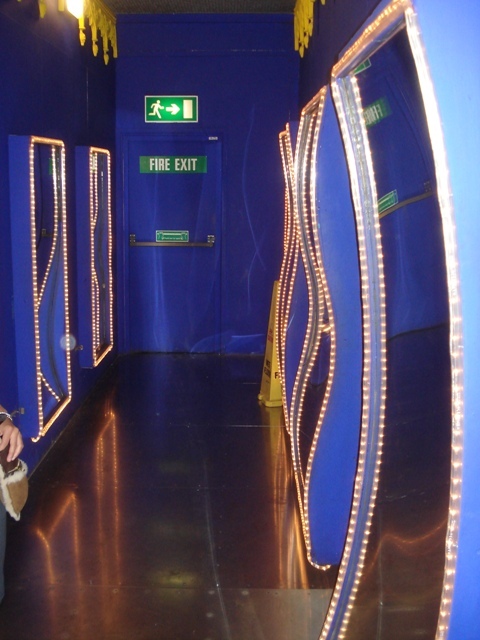 There are also many other quick-service places and sit-down restaurants offering a wide variety of selections. 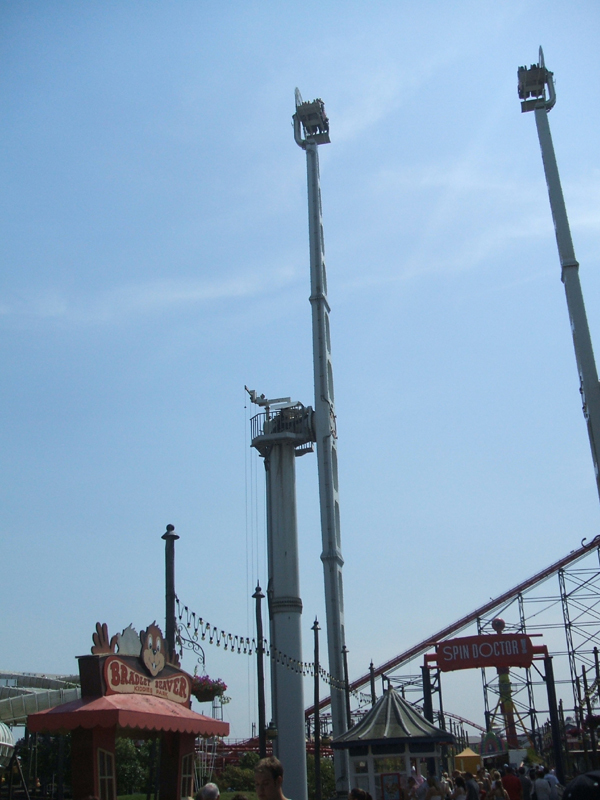 Blackpool has a long operating season starting with weekends in February and March, expanding into daily operations in April, and scaling back to weekends only in November. 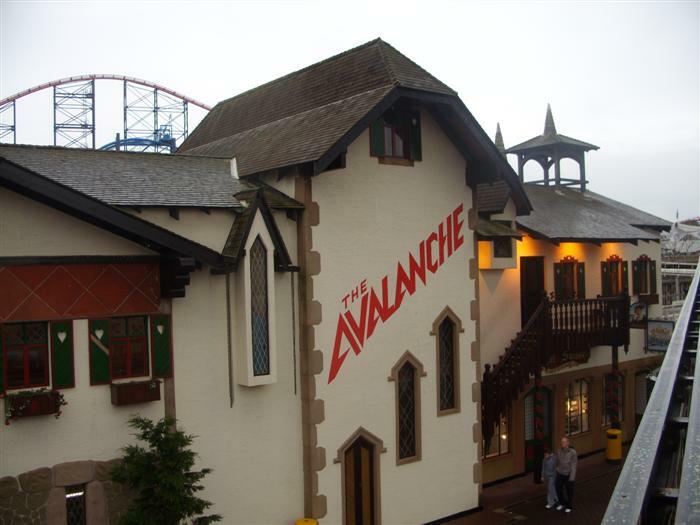 Blackpool is certainly a working-class retreat and also a favorite destination for bachelor (stag) and bachelorette (hen) parties. Crowds can be a little rough around the edges. From the M6 motorway, exit at Junction 32 onto the M55. 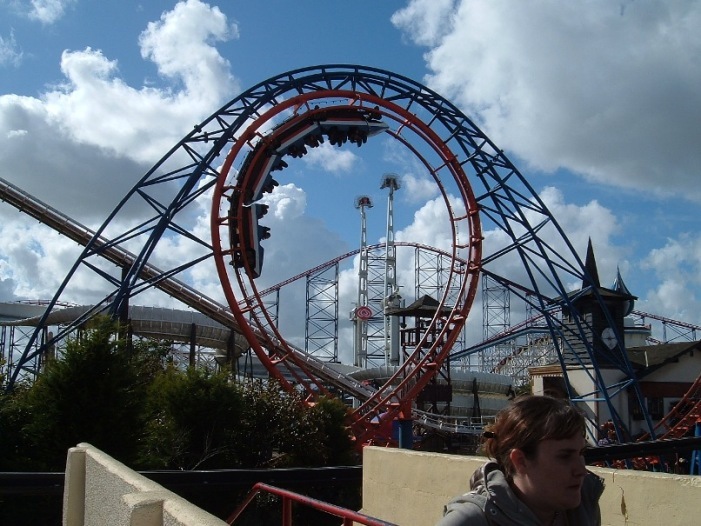 At the end of the M55, follow signs for Blackpool, South Shore (via Blackpool Airport) and then follow the brown tourist signs to the Pleasure Beach, Blackpool. Direct train service exists from both London and Manchester. 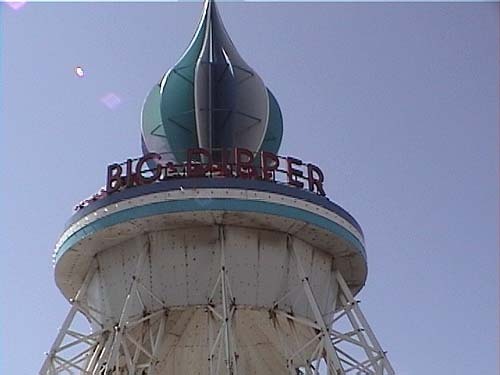 The Big Blue Hotel borders the park and is one of the nicer hotels in Blackpool. This affiliated hotel offers patrons discounted pricing on all-day wristbands. It's up to you if you want to call Spectacular Dancing Water a show, but the other offerings at the park (ice show and magic show) are upcharges. 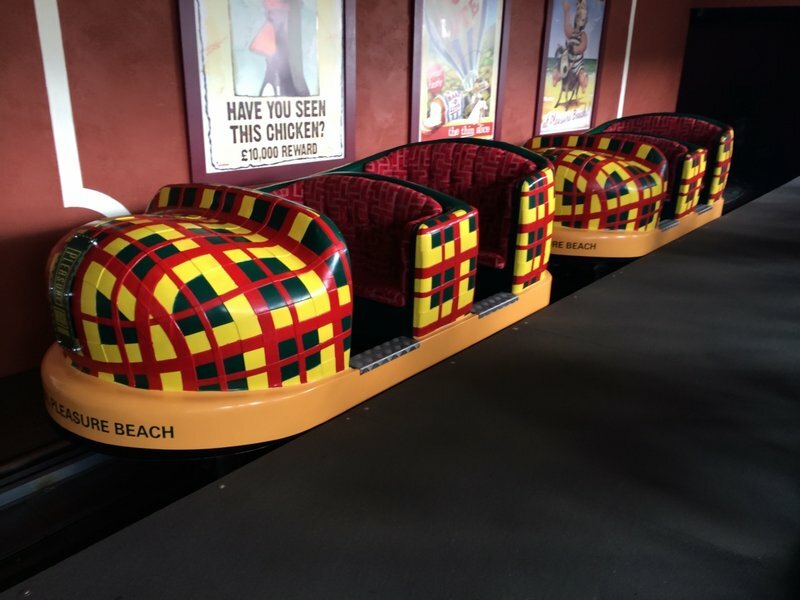 The nostalgic value of Blackpool Pleasure Beach, teamed with its selection of rides up to a century old, make it one of the most enjoyable parks in the country. 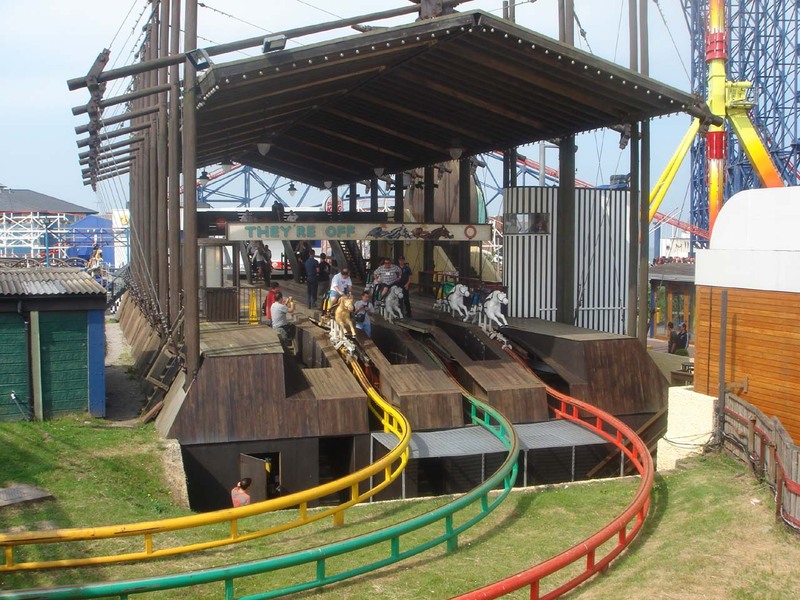 Unfortunately, subtraction of rides has been a growing trend of late. 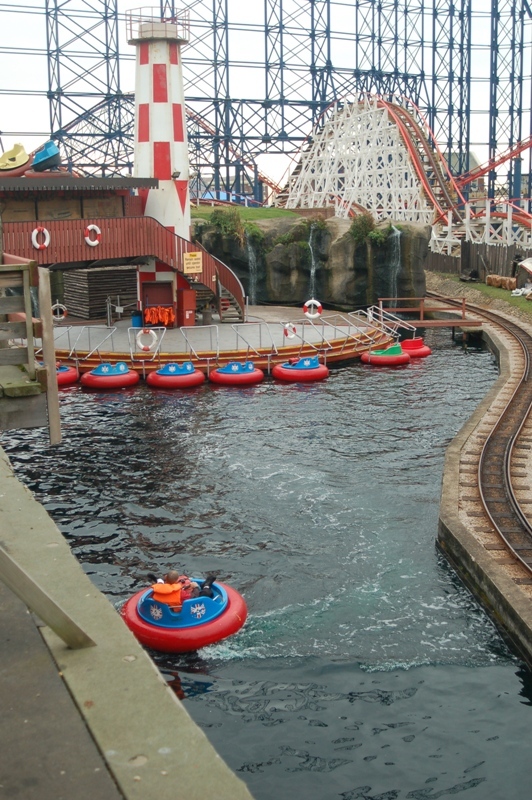 Often compared to Moreys Piers and Santa Cruz Beach Boardwalk, Blackpool is proud of its reputation as one of the world's best coastal parks. 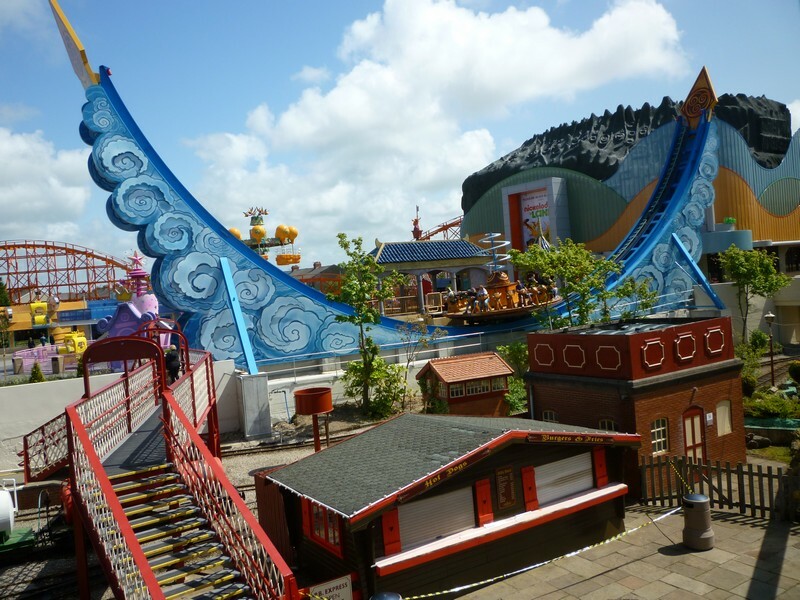 Recent additions to the park are thought to be lackluster by many, but the old wooden coasters and a plethora of traditional dark rides more than make up for these shortcomings, providing a fun day out for families and enthusiasts alike! 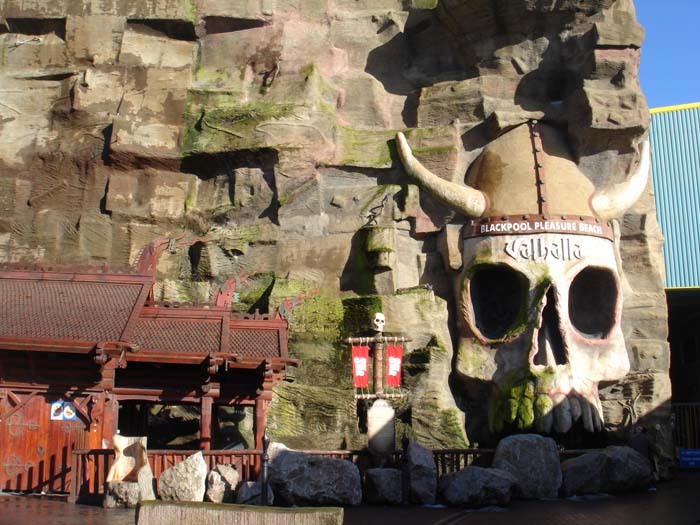 Valhalla and other dark rides make this park a must visit for dark ride fans. 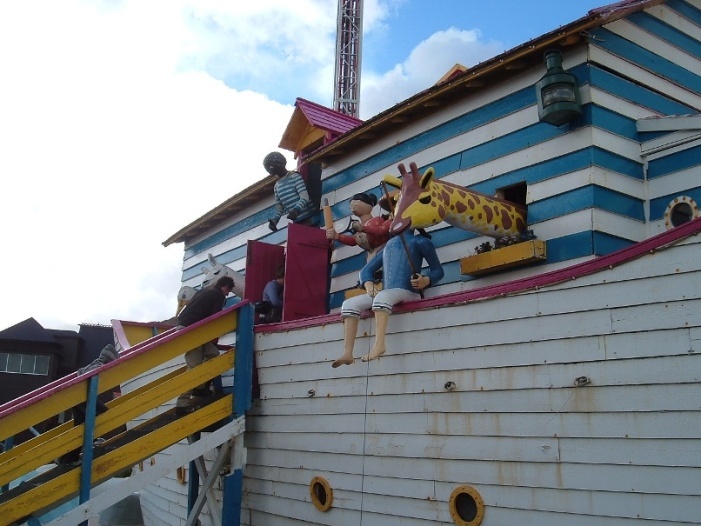 One of the few homes to wood coasters in the UK, Blackpool has some great classic rides, but not too many new thrills. Steeplechase is the last remaining in the world, and a very fun experience. 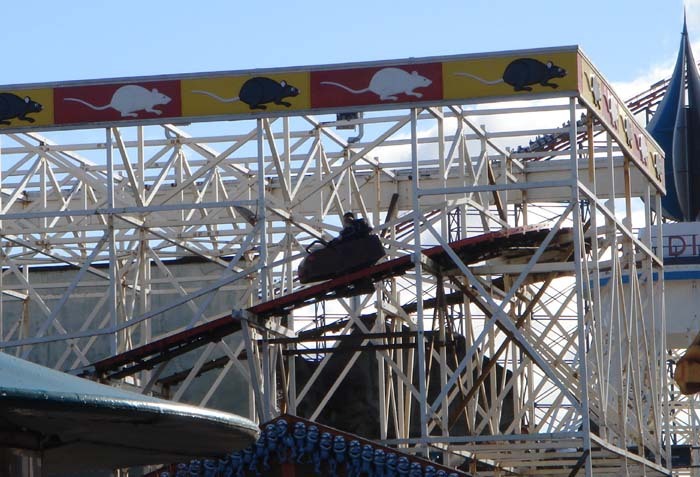 The Wooden WIld Mouse outshines all of its contemporaries, and the Grand National is a great wooden coaster. 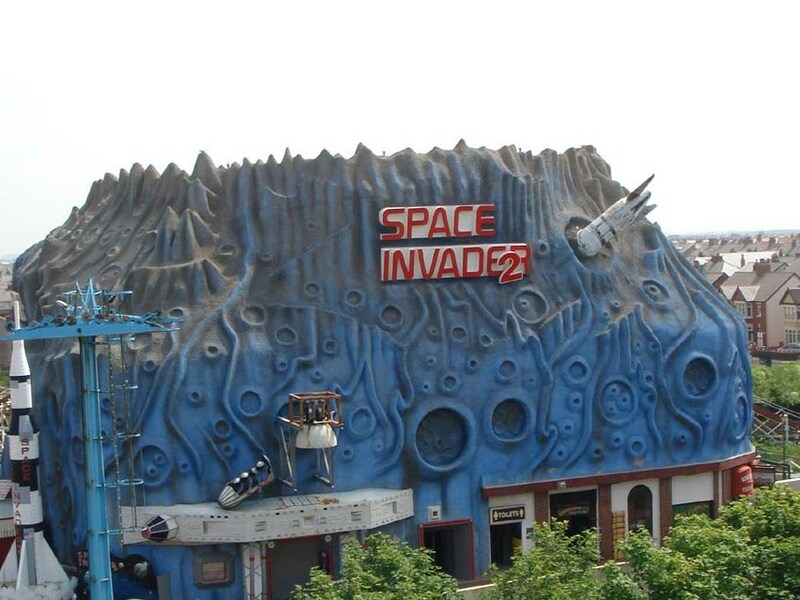 The Big One was merely a Big Disappointment though, and while the dark rides were cute there's not too many modern rides worth doing here. Food is alright, though you may prefer the boardwalk outside the park. Entertainment is all upcharge. 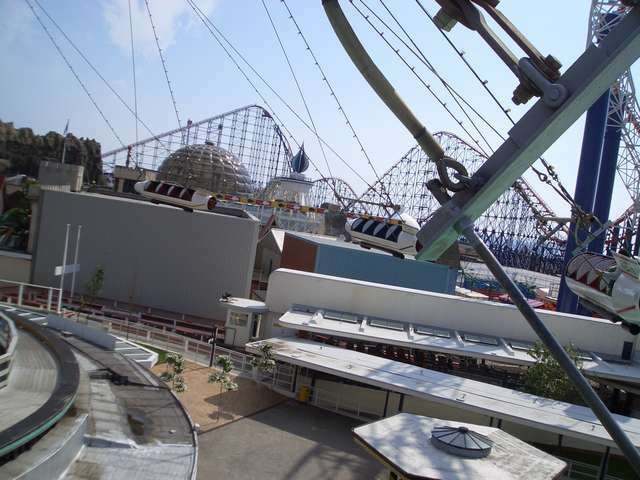 Atmosphere is very boardwalk-y, though some areas feel abandoned (this may have changed with new kid's section. 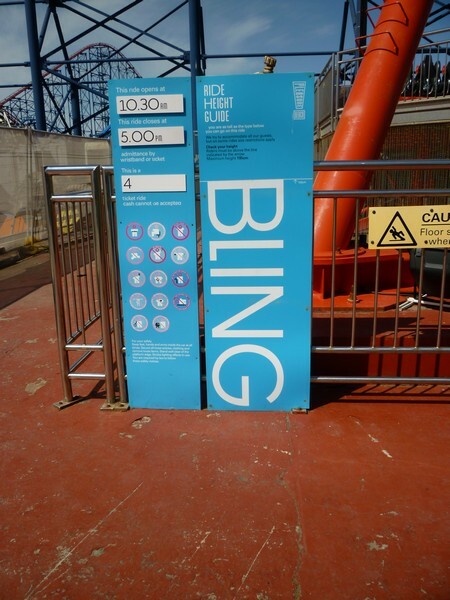 Make sure to get some Blackpool Rock while you're here- it will change your life! 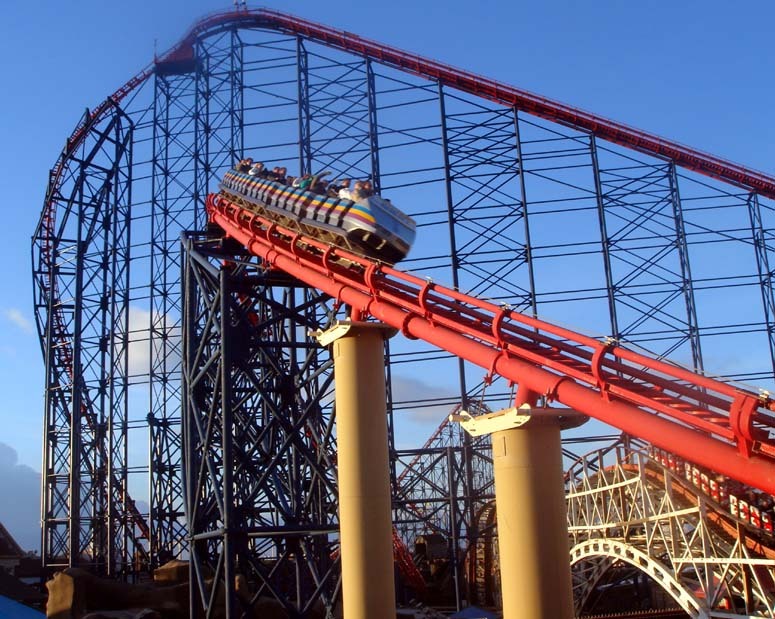 Pleasure Beach is home to some well-known and popular coasters such as the Pepsi Max Big One, Grand National and Steeplechase, along with some classic dark rides such as the world's first Ghost Train and the modern Valhalla , so is perfect on the ride front. 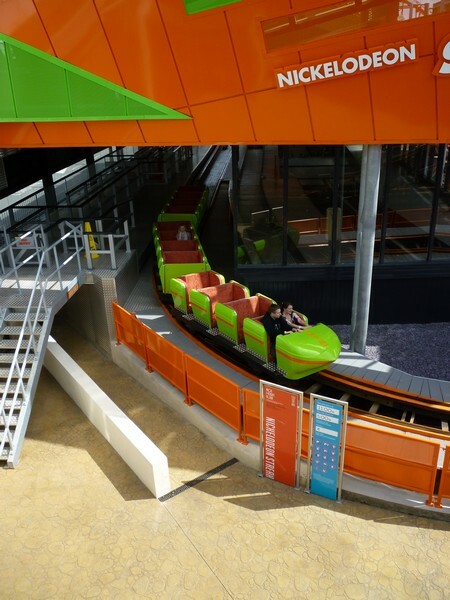 However, it does suffer from poor food choices (with inflated prices) and poor staffing on some rides, such as the rollercoasters. For a 500ml bottle of Mountain Dew, you're forking out £1.90, whilst a regular hot dog will det you back £3.20. 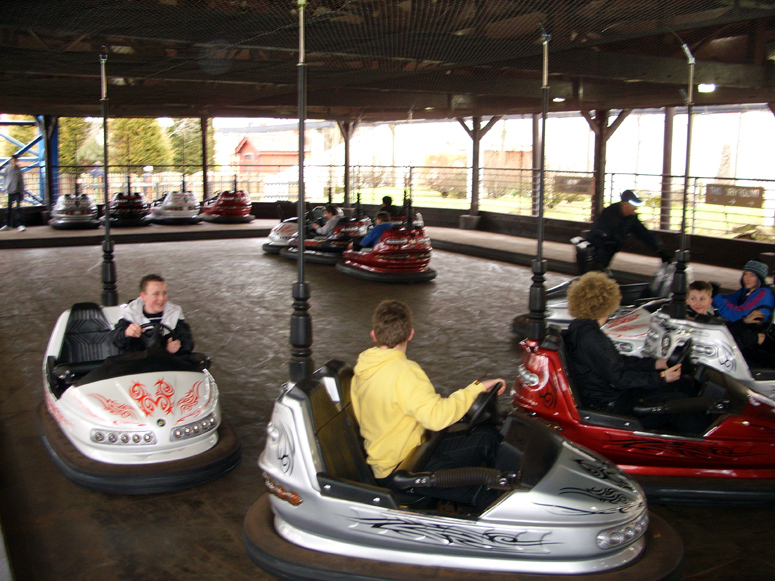 The rides on offer are fantastic, but be prepared to empty your wallets! 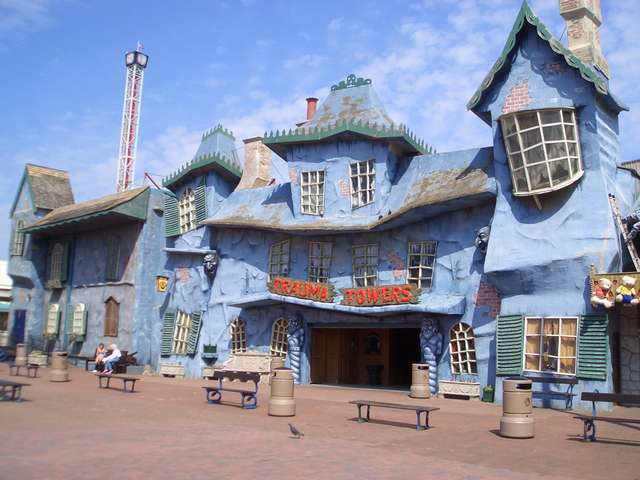 Maybe i am just a Blackpool Pleasure Beach nerd, but i absolutley love this place! 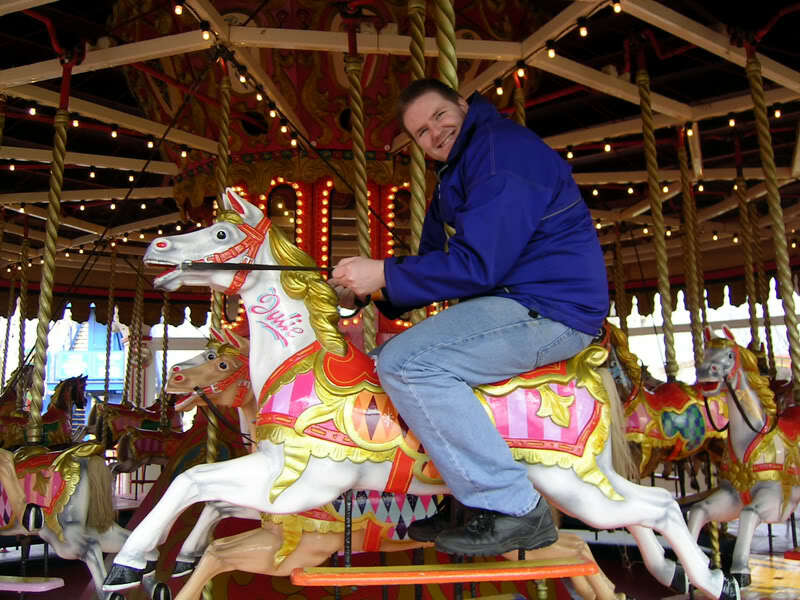 While the rides may not be as exciting as maybe Alton Towers and Thorpe Park, this park has a great nostalgic feel that reminds me of the old fashioned beach side amusement parks of the 1930's. 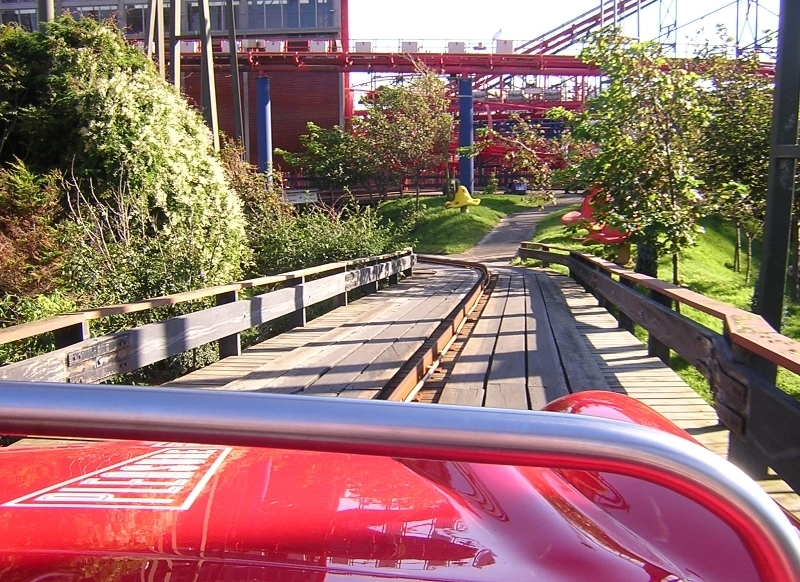 It is also home to my favorite wooden coaster of all time, the Grand National! 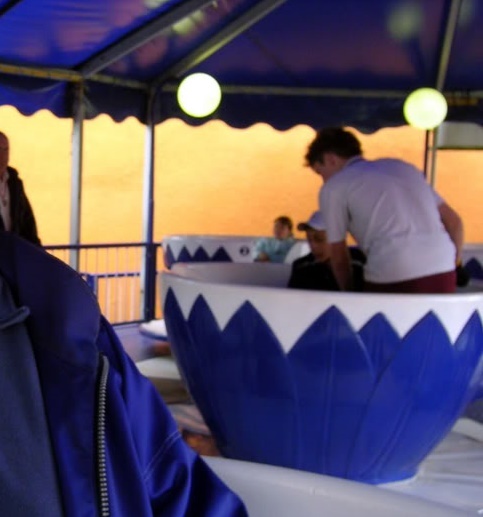 The rides are old fashioned and run down, but in my opinion, that just makes them all the better! 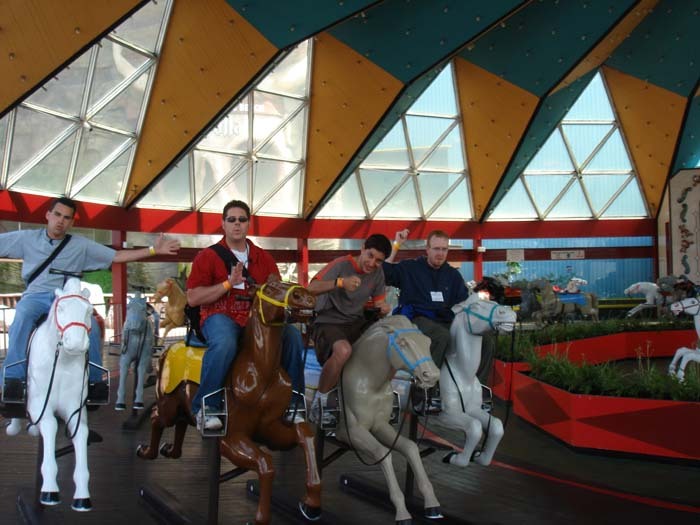 I visited this park in 2006 and it had a variety of rides to experience. 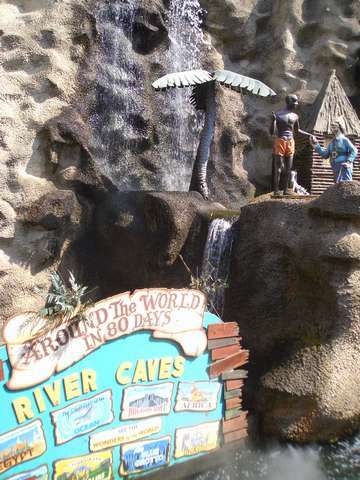 This is also home to one of my favorite water rides, Valhalla. 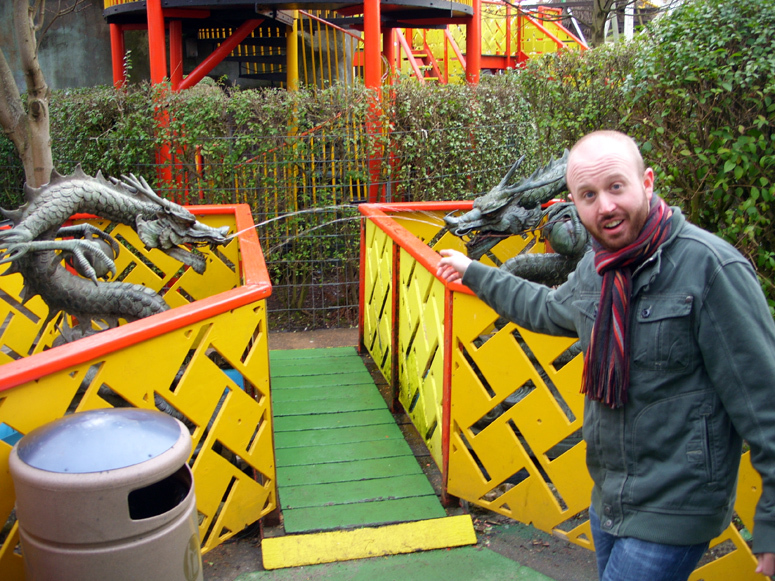 The footprint of this park is pretty tiny so almost all the rides interact with each other. 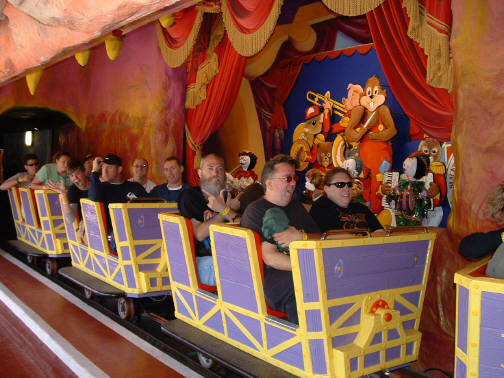 The classic dark rides at this park are quite fun to experience and are quite ghetto but in a good way. 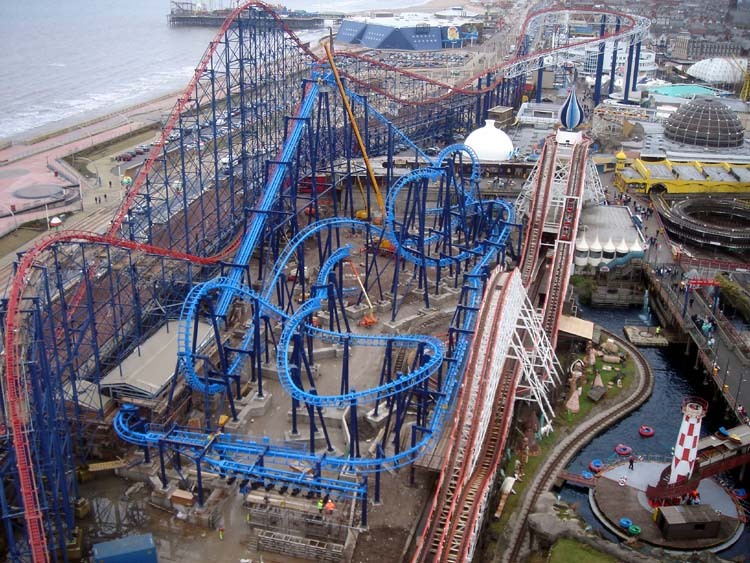 I highly recommend bringing pain killers because almost all the rides at Blackpool will hurt you in some sort of way.